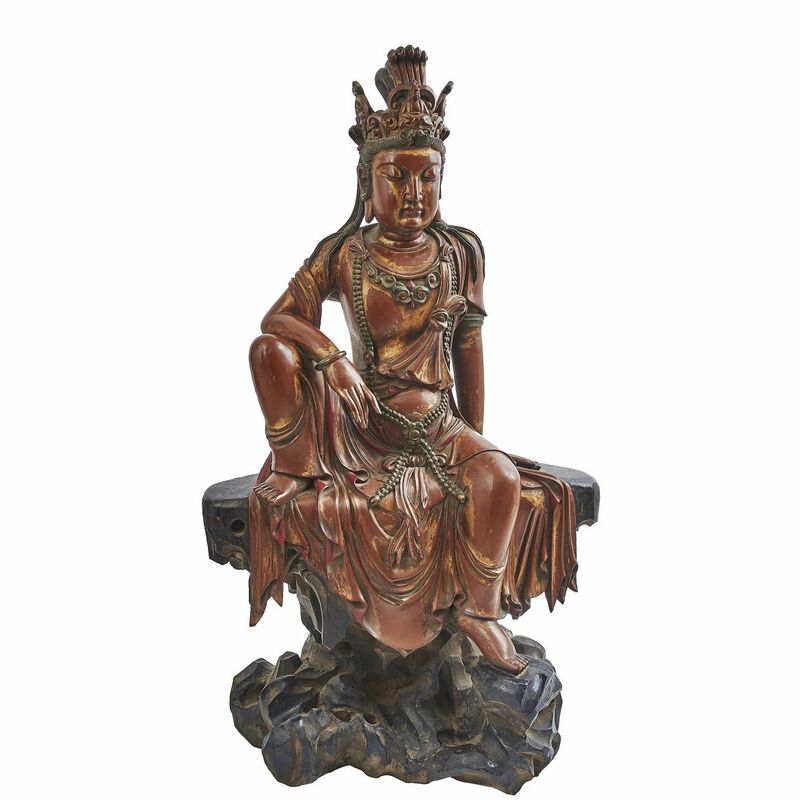 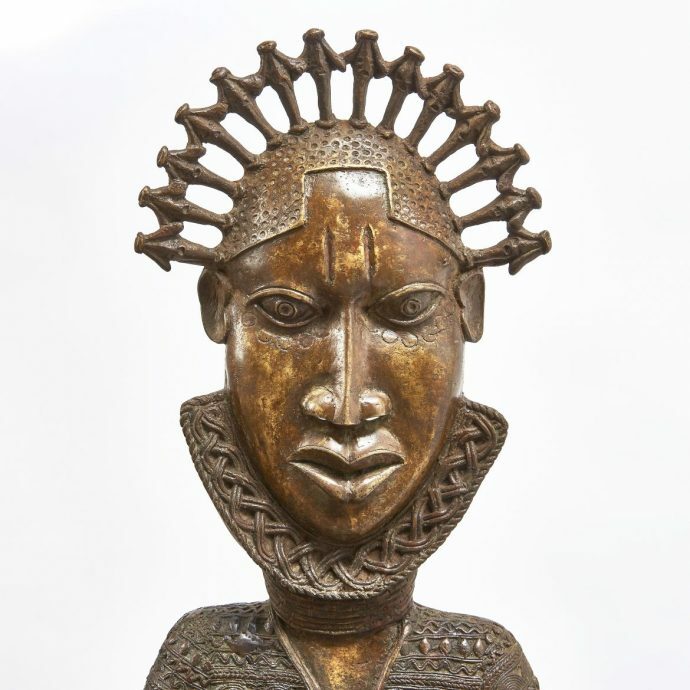 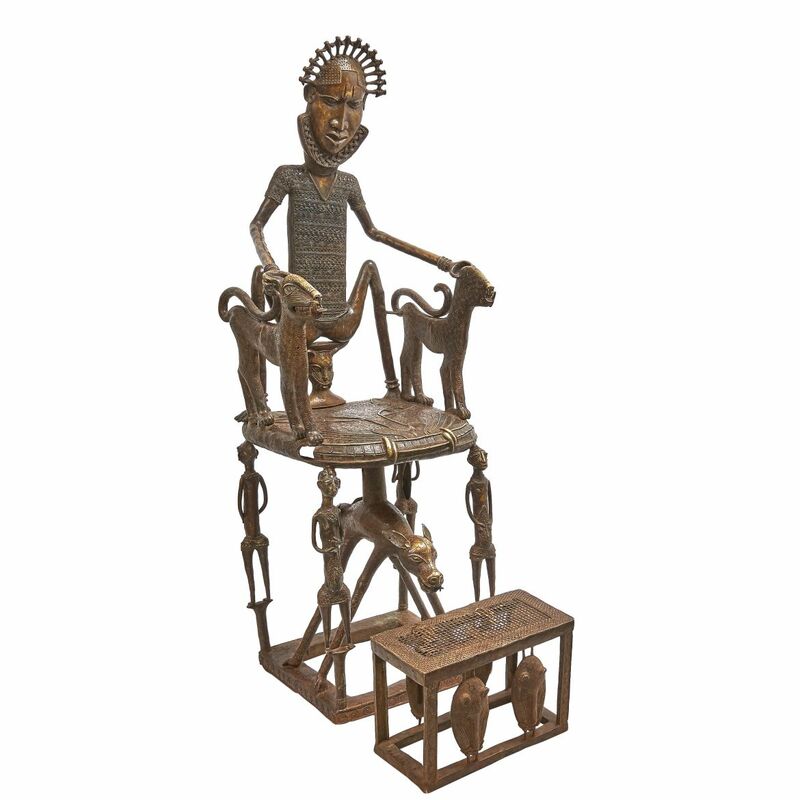 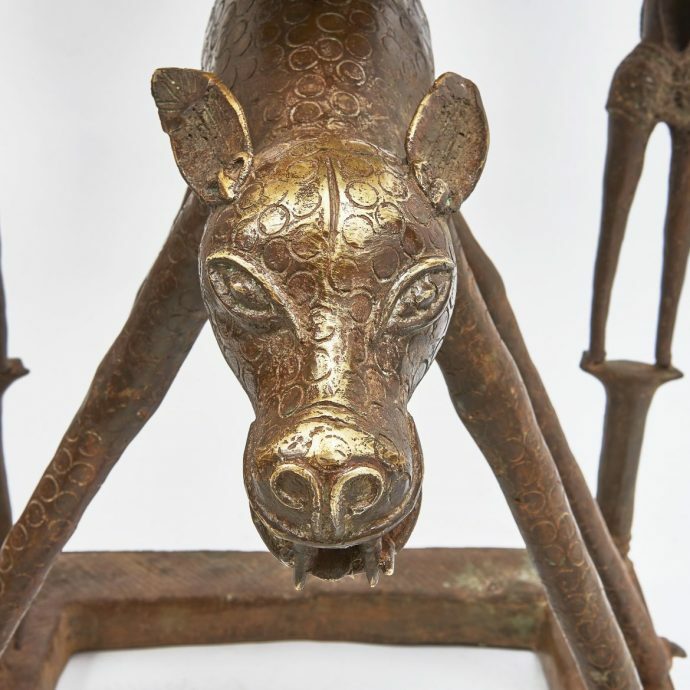 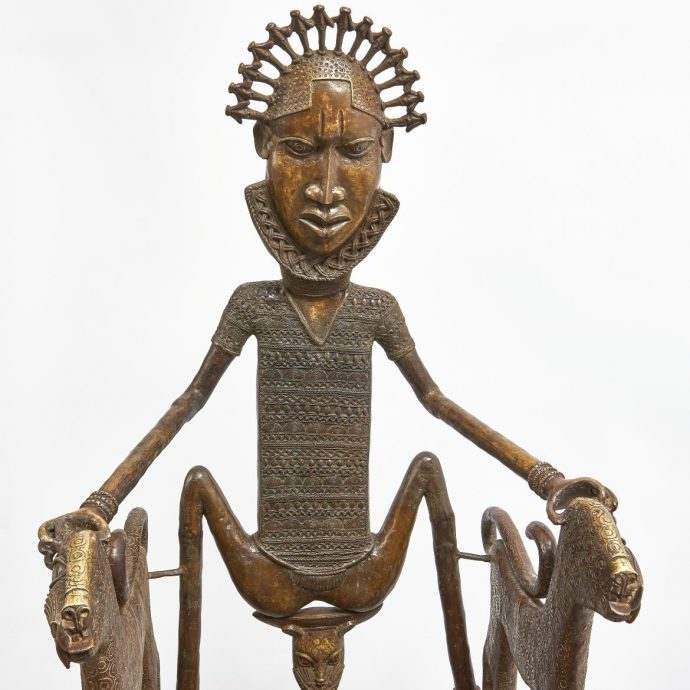 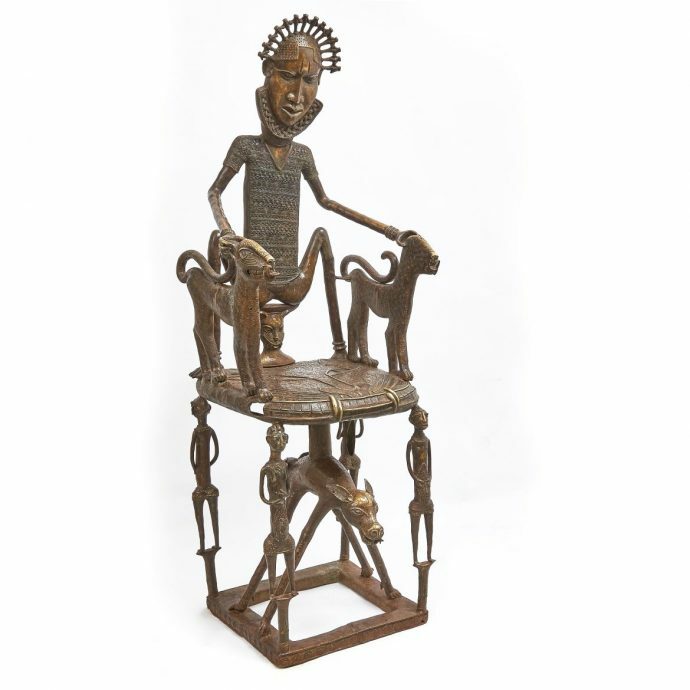 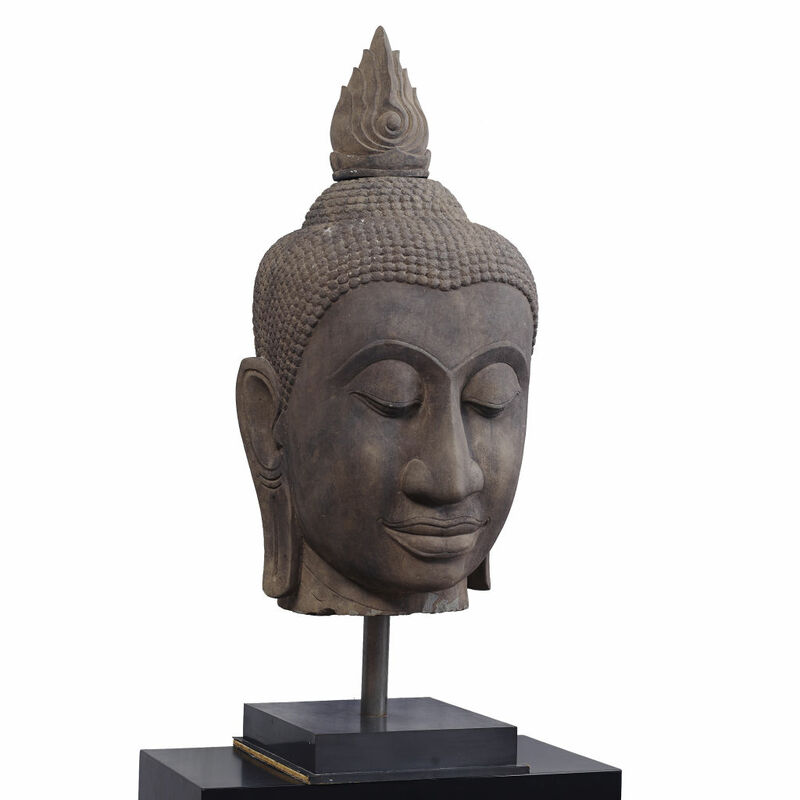 Cameroonian Bronze mid 20thC Throne and footstool. 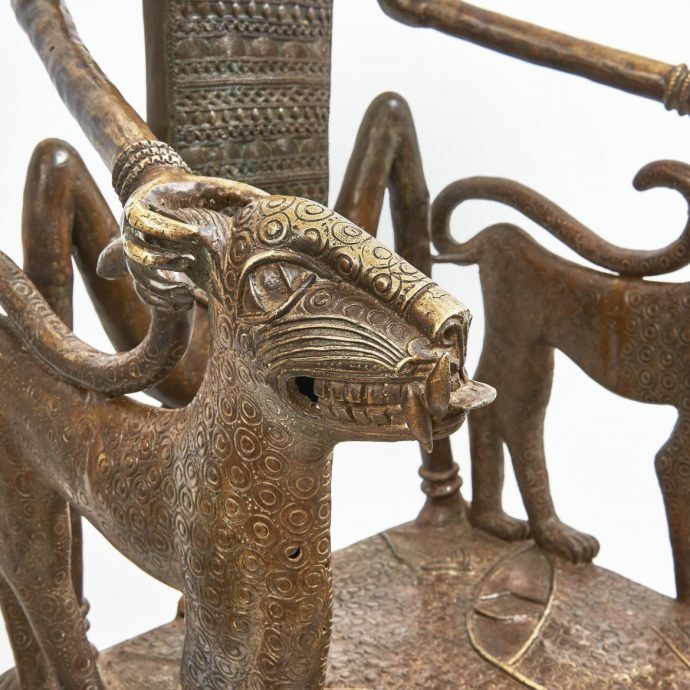 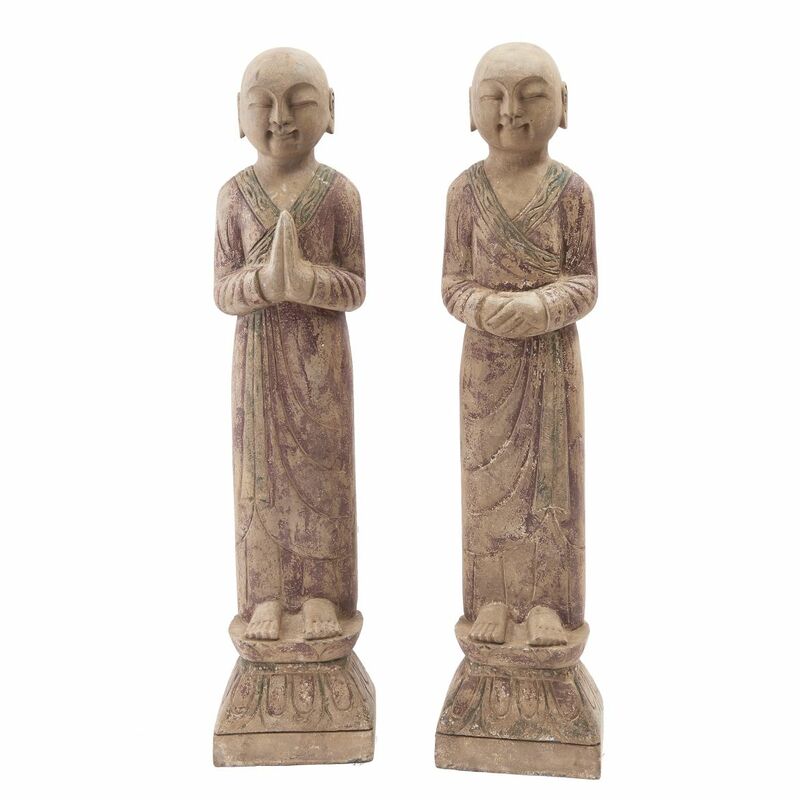 The backrest as a tribal figure with leopard armrests. 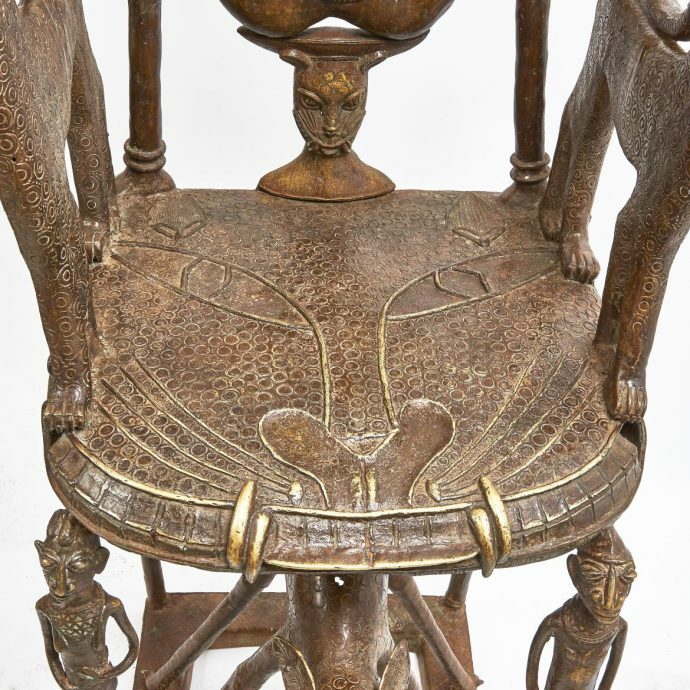 The seat as a feline face supported by four figures and stretcher in the form of a double headed beast. 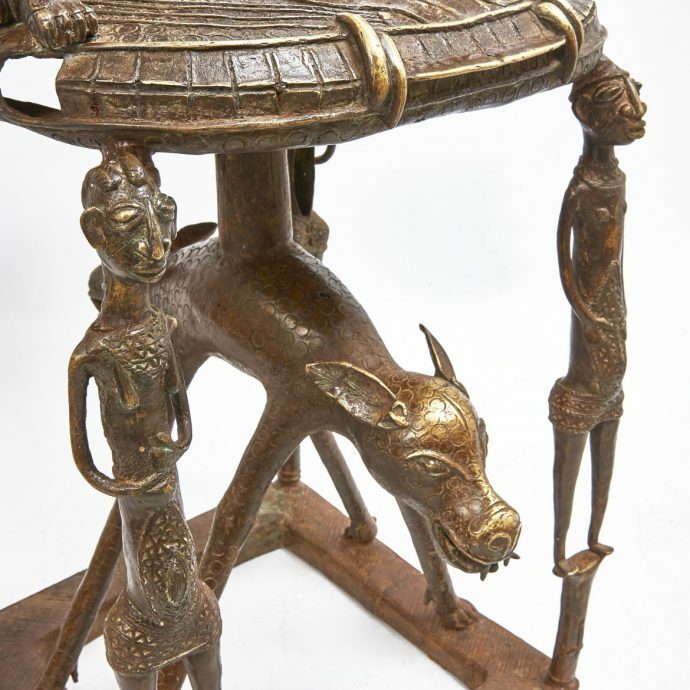 The footstool with pierced top above four animal masks. 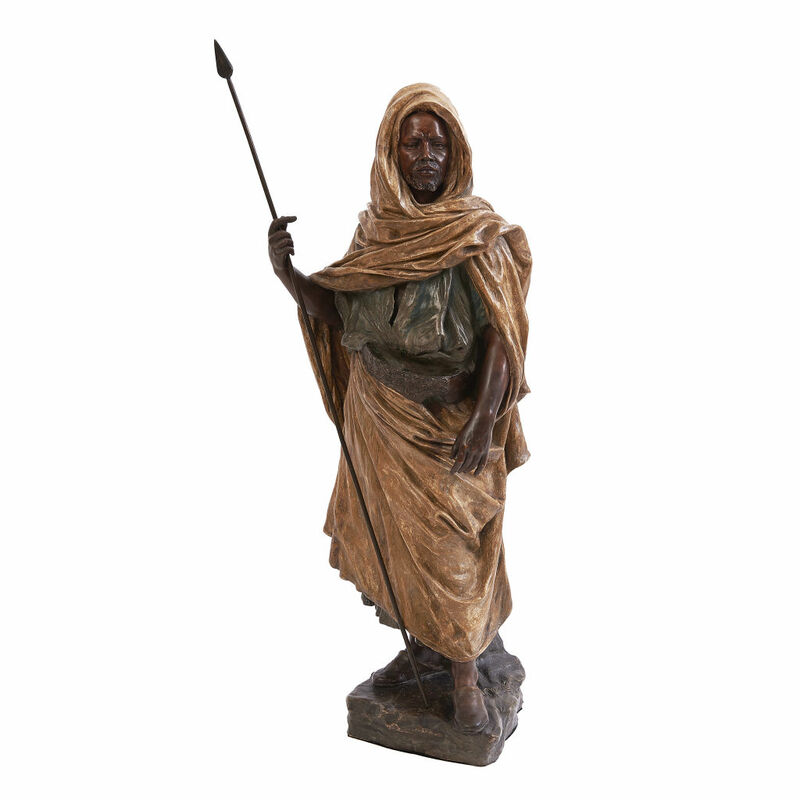 c.1943, by the Artist Judam Ismael.